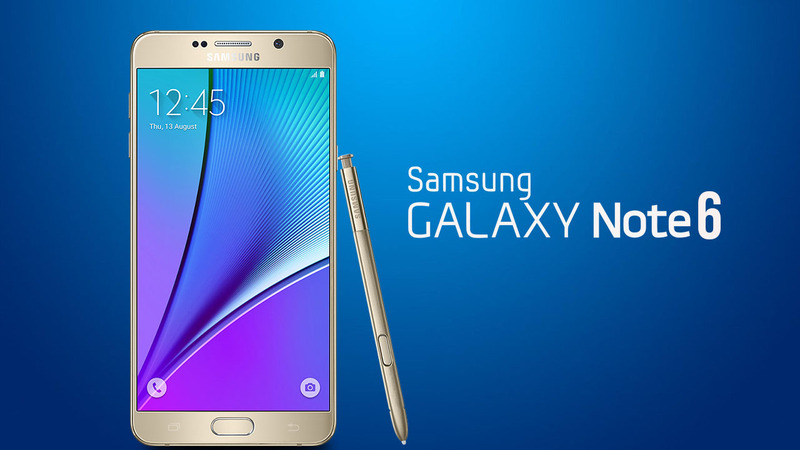 The rumors about the Galaxy Note 6 specs are continuing to surface throughout the web. Some of them seem quite logical, while some of them look quite outrageous. In this article, you will find the most possible specification of Samsung’s next-generation phablet. The Galaxy Note 6 is strongly expected to feature a 5.77-inch Super AMOLED display. It will have a high resolution of 1440 x 2560 view. So, expect a dazzling view. And more importantly, it will come with several new features, including the Always-on technology and Force Touch. The Galaxy Note 6 is very likely to feature the same 12-MP primary camera and 5-MP secondary camera as the new Galaxy S7. So, they will definitely become the best phablet shooters of this year. The Galaxy Note 6 will become incredibly powerful. All the credit will go to its outstanding hardware. According to the recent reports on the Galaxy Note 6 specs, the device will be packed with the super-fast Snapdragon 823 processor, the massive 6 GB RA< and the highly advanced Adreno 530 GPU. So, it will show an outstanding performance running all the high-end games with a stunning graphics and pace. Some of the key features, which were being scrapped in the previous model, will make their returns. According to the different rumors, the microSD card slot and waterproofing and dustproofing capabilities will be applied in the next-generation phablet. Talking about internal storage, there will be different options, including 32 GB, 64 GB and 128 GB. More significantly, a 256 GB variant is also expected to be introduced. The new device is expected to feature a 4000 mAh battery. It will support the Quick Charge 3.0 technology. The device will feature all the typical sensors of a high-end phablet, including the fingerprint and heart rate sensors. However, a new, major sensor is expected to be used. According to the different reports, the Iris Scanner will be included in the device. It will allow you to perform authentication using your eyes.